No age is too young to start playing hockey, and the Lane Amateur Hockey Association (LAHA) is here to help you get started! Kids as young as age 2 can get involved in LAHA and start their journey on the ice. All instructors with LAHA are USA Hockey certified, ensuring your kiddos are learning the best techniques from the best possibly instructors. For passionate (or even the less passionate) hockey player over age 18, our in-house adult hockey league (the RHL) is a great place to start or continue your hockey playing story. 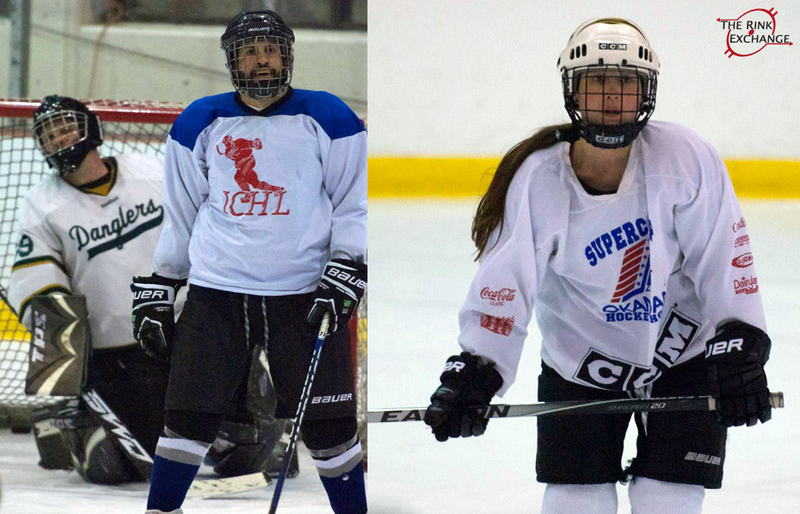 Players are split into three leagues (A, B, and C) based on skill level, with anywhere from 10-13 players per team. Don't sit on the sidelines - grab your skates and hit the ice today! Learn more and register for the RHL. Pick-up hockey at it's finest. Drop-In sessions are simple: just come and play with whomever shows up. It's old school... it's new school... it's whatever you want it to be! Our version of pond hockey here in Eugene. Click here for the Drop-In Schedule. Need to work on skills? Don't we all... Stick Time sessions are intended for those people that want to work on their game by not playing a game. Set up cones, skate around pylons, or work on your wrist shot - the learning possibilities are endless! Click here for the Stick Time schedule.